A Bit Backward . . .: Changing a (g) Cloth Diaper - and More! Changing a (g) Cloth Diaper - and More! If you missed my first three posts on cloth diapers, you can read them here, here, and here. I want to show all of you what changing a cloth diaper looks like. All the steps involved. So I decided to take a few pictures as I was changing one of Lincoln's wet diapers today. The unsuspecting victim baby in need of a diaper change. Get your baby situated on the changing station. Please pardon the jaunty angle - I was holding the baby and clicking away at the same time. Undo the velcro on the back of the baby's dirty diaper. Assess and attack the "damage". 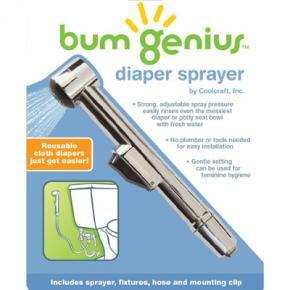 (a.k.a.Wipee your baby's bottom.) Set the soiled diaper/wipe(s) to the side. Aren't you glad this diaper was only wet?! Haha. If your nylon liner and/or diaper cover isn't (aren't) very dirty or wet (I usually don't change the liner after just a wet diaper - but I do for a poopy one), then you can just set it aside to dry a bit before the next diaper change. If it is dirty, unsnap it out of the diaper and throw it in the wet bag. If the diaper cover is wet and/or poopy, velcro the sides closed and throw it in the wet bag too. I call the technique (below) the "poop scoop". For Lincoln's really messy poopy diapers, I simply throw the dirty wipes away and unsnap the liner and just throw it all in the wet bag without ever touching the inserts. The "Poop Scoop". Pretty sweet, eh? After you have either sprayed your liners or just picked them up - throw them in the wet bag and zip it up! Set your baby in a safe (non-elevated) place and wash your hands! Ta Da! You're done! You just changed your first cloth diaper - wasn't so bad, was it? Ready for the next load of freshly laundered dipes! So, now you know how to change a (g) Cloth diaper. I'll be doing at least one more cloth diapering post on the care and washing of the dipes -hopefully soon! If you have any more questions, feel free to ask. "I've been reading your posts about (cloth diapering) and I'm thinking that I'd like to try it. You say you'd go the whole g diapers route- which I researched with Pip. Are there any other brands you'd recommend? And have you ventured into making your own stuff?" I knew from reading reviews, that Gdiapers were some of the thinnest cloth diaper systems around - this was important to me because I wanted to be able to have my baby wear pants on occasion! (Some are so bulky that the associated companies have designed little leg warmer things which they market as cloth diaper fashion - and maybe they are . . but I personally kind of think it's just a clever marketing ploy to direct your attention away from the fact that by wearing their massive cloth diapers, your baby won't be wearing pants . . .ever. I liked that the diaper had several layers - the cover, nylon liner, inserts. The diaper covers and nylon liners often go through several diaper changes before having to be washed. I thought that that was cost effective because the covers get washed less often. With pocket diapers (like the Applecheeks diaper I've tried and referred to in my second post), your baby wears them once and at the slightest tinkle - you are done with the diaper. I also decided against going for a "one-size-fits-all" diaper. While the initial cost was a bit more than buying a OSFA stash might have been, (With Gdiapers, there are three sizes of diaper covers, 4 if you include the newborn size, and two - or three - different sizes of inserts), I thought that in the long run, the diapers would be more cost effective by being washed fewer times. I plan to use this stash for all my children! I also liked the idea of Velcro instead of snaps for a cloth diaper - a little more time efficient when changing. I haven't had a problem with this yet, but some long-time Gdiaper users complain that the Velcro wears out eventually. But, I know that Gdiapers will send you new Velcro for free if you ever run into this problem. I also liked that I didn't have to learn origami or have to use a manual to learn to use the Gdiapers. With the traditional pre-fold, and even with some of the one size fits all diapers, you can fold up and snap up your diaper in 20 different ways to fit your baby! While this can give a more customized fit, and less leakage (?) I didn't really want to have to deal with any of that at every diaper change. And that about sums it up! As you can tell, I'm pretty biased toward my "G's" - that's not to say I haven't had a few problems. (For example: Lincoln sometimes wets through at night with only one hemp insert - but we've been trying two and it seems to have fixed the problem.) But, we have worked them out or just chosen to deal with them. What is so wonderful about the internet, is there are many so many resources to help you find solutions to problems you may encounter with whatever brand/route you choose to go with cloth diapering, so you don't have to worry yourself too much about whatever you choose. There is help. I'd also like to say that I know that there are MANY very happy cloth diapering moms out there who do it differently than I do and are happy with their stashes. Really, it all just comes down to preference and how different brands will fit your baby. In any case, I hope those links are helpful and that I answered your questions! :) Comment with more if you still have them. AND - for any of you cloth diapering moms out there - please feel free to comment with your favorite cloth diapering resources if you have any to share! :) If you read through all of this, YOU deserve a prize! Haha. Thanks! I felt pretty special having a post dedicated to my questions:) That helped a lot. I decided to go g diapers as well,I wrote about it in my last blog post. I'm using all their products. Thanks for the help, I'm sure I'll be asking more once Baby B arrives! Do they sale the G diapers in adult size? Thanks for the post. I've started my g stash for baby number two but because I bought most of my diapers second hand (new--she bought them then decided she didn't want to cloth diaper), my didn't come with an instruction manual. One question, what is your favorite insert? Click this link right here and watch a video that reveals my very own potty training story and how I stumbled upon a potty training method so effective, it has helped thousands of parents get their children out of diapers for good... and in 3 short days!